A living room is the center of every house not just physically but emotionally too. The emotion word is used here for a reason because it’s the prime area of entertainment in our home. Whether it’s our day off or not, we like to make the most of the free time here while resting. We relax, watch TV and do numerous activities here. Moreover, the Saturday night movies and Sunday’s matinee show also enjoyed with family at this particular location. The Festive season is about to kickstart so it is the perfect time to decorate your home before. This space will be a popular gathering spot if you are expecting some friends or guests to show up at your doorstep. Redefining the look of your living room and decorating it in a way that all things can be easily accessed would make it much more entertaining for friends and family. So how can you give this area a splendid look? Try illuminating this place with the right selection of light. The type of your living room doesn’t matter much for illuminating. Whether it is an electronics media loaded, a simple TV room or somewhere in between, it can be brightened in many amazing ways. The objective here is to achieve an amazing lighting experience and LED lights can provide it. The best experience can be created by using different types of lighting. LEDfy is suggesting some ideas on how you can light up your living room to enhance everyone’s experience. 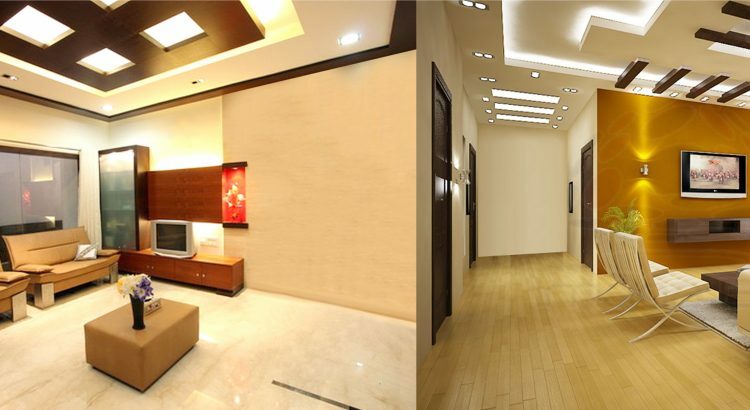 Ambient lighting has a lot to offer when it comes to Indoor LED lighting. It illuminates the whole room with uniform lighting, making every element clearly visible. Ceiling panels and Downlights are good options for general overhead lighting. Ambient lighting offsets the brightness from other lighting rays coming from TV screens and hence delivers glare-free light that doesn’t cause strain on the eyes. You also won’t have any problem searching for the key elements of electronic devices i.e. remotes of TV, 5.1 Speakers, and AC etc. Task lighting is used for direct lighting onto some particular areas for special activities such as reading or writing. This type of lighting is only switched on when the related task is needed to be done. For instance, Table lamps or floor lamps can be used to create direct lighting to read newspaper, magazine or taking notes. Using these lamps with adjustable heads is suitable for optimum performance. Allocate them next to a couch to spread low-level lighting whenever required. Using dimmable LED Bulbs can help you take control over the brightness of light to adjust according to your need. Installing wall sconce is an alternate option for task lighting. Accent lighting is used to give a finishing touch to the living room decoration. This is a perfect way to highlight artwork, architectural characteristic of your room. It creates a beautiful ambiance for relaxation and watching anything on TV with home theaters. This type of lighting can be used as Display lighting, Up-lighting, and wall washing etc. The living room is the area where a lot of exciting activities are done so select the right color temperature. No doubt that it sets the pitch of your home. If you have any question or you want to share your thoughts, feel free to leave a comment.